When most students get out of their last class of the day, the last thing they want to do is spend eight hours in a laboratory. In contrast, Junior Arun Murugesan does this not because he has to, but rather by choice. However, finding the time for this is no easy task. 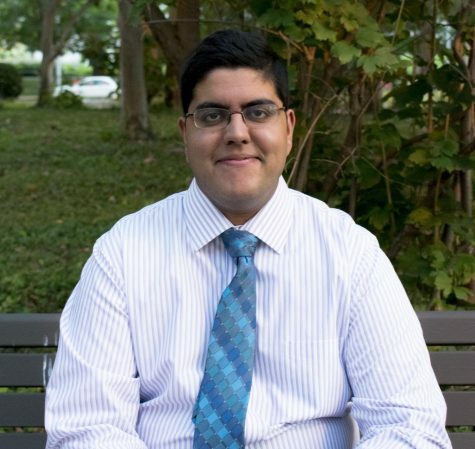 Murugesan is currently balancing his classes, studying for the looming MCAT, and volunteering for the GED tutoring program. To be able to work on this research project, Murugesan needs to find large chunks of time between his academics and activities. Unlike most student researchers, though, he can choose the pace of his project. Once he has found a block of time, he heads over to the Case Center for Global Diseases and Health on the fourth floor of the Biomedical Research Building. The redbrick building is visible across Adelbert street, reminding students of the research-focused university they attend. Murugesan has been researching the effect of a pregnant mother’s exposure to Malaria pathogens on the later, matured immune system of her child. During pregnancy, the antibodies that the mother’s immune system produces also travel to the fetus’ blood stream. Through this, the mother’s immune system can protect the child directly. Antibodies are made by the immune system and they have a specific receptor that can only latch on to a unique receptor on a pathogen. The researchers hypothesized that the mother’s exposure to Malaria during pregnancy weakens the child’s ability to fight the disease later on, when they have grown up. The researchers believe that the child’s immune system will produce a weaker antibody defense to fight malaria in comparison to a child whose mother was not exposed to Malaria during pregnancy. The researchers speculated that in effect, the mother’s exposure to Malaria reduces the child’s capacity to fight the disease. To study this, the researchers obtained blood samples from persons in Kenya whose mothers had and had not been been exposed to Malaria. The plan was to compare these samples to one another, but the lab ran into a problem with a machine that helped them do this. As Murugesan sees it, however, the dangerous disease that he is researching does not allow him to give up. Malaria is one of the world’s biggest killers, responsible for about 500,000 deaths a year, of which 20 percent are children. For this reason, Murugesan has kept pace by working through the machine to achieve a standard. Each experiment requires eight hours of work and he needs to be engaged the entire time. In fact, he often can’t find a respite to eat lunch. At this time, the lab has 1,600 tests waiting to be run.